Liaoning, China’s sole aircraft carrier, recently dropped anchor after conducting a series of military training exercises, alerting Taiwanese officials that the threat posed by Taiwan’s enemies is "growing by the day." For its part, China fears that Taiwan President Tsai Ing-wen will cross one of Beijing’s red lines by making a push for formal independence. The prospect of Taiwanese independence could lead to military escalation, but Tsai has maintained she seeks peaceful ties with China. The carrier led a fleet of warships 90 miles south of the Taiwan-held Pratas islands before docking in the southern Chinese province of Hainan, but a Taiwan military official pointed out that the movement did not necessarily signal that the Liaoning was finished with its exercises. Beijing claimed that Liaoning was conducting routine exercises and that no part of the mission violated international law. Last month, Beijing announced that the Soviet-built ship was ready for combat, although, unlike other aircraft carriers, the carrier must rely on air support for land attacks, as the ship is only equipped with air-defense weapon systems. Analysts have pointed out that despite years of honing the carrier’s operations, China’s carrier remains years away from carrying out functions that US carriers have made routine during the past few decades. 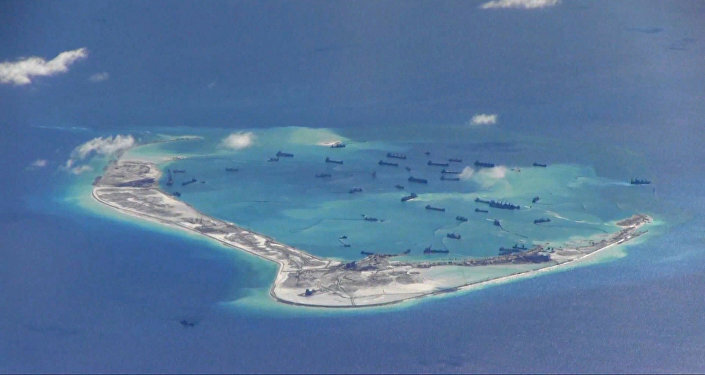 This month, the Asia Maritime Transparency Initiative, a Washington-based think tank, released images depicting what it said was a military buildup on the Spratly islands in the geopolitically-sensitive maritime area of the South China Sea, a trade route that sees some $5 trillion worth of goods transit annually.